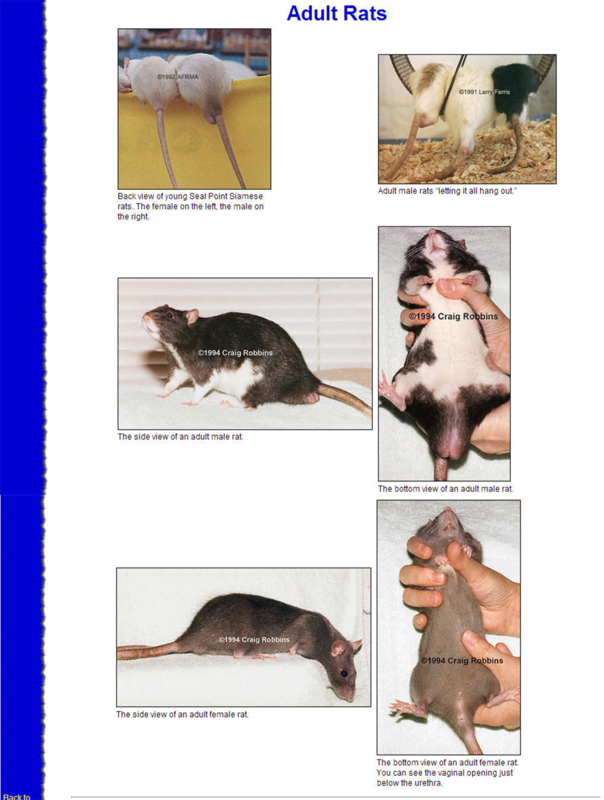 The American Fancy Rat and Mouse Association (AFRMA) has great photographs on sexing baby rats. 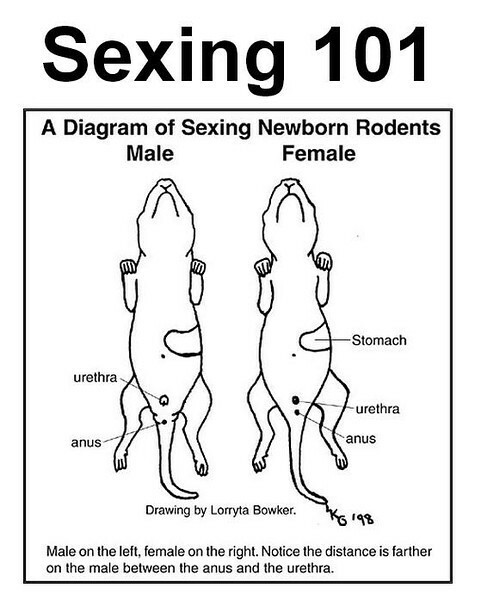 Please separate by age 5 weeks, or the females will become pregnant and you'll start all over again! 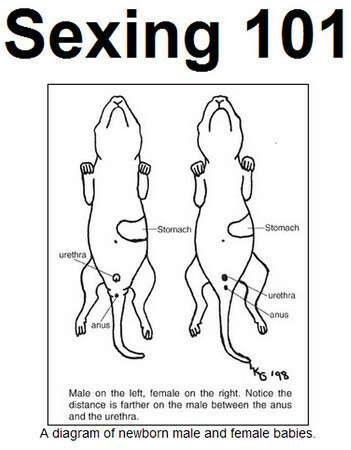 If you roam the AFRMA site and want to return to the page I've listed below on Sexing 101, here is the direct link: http://www.afrma.org/sexing101.htm.